Why can't we take a picture of a man with a wooden leg? The wooden leg is not a camera. 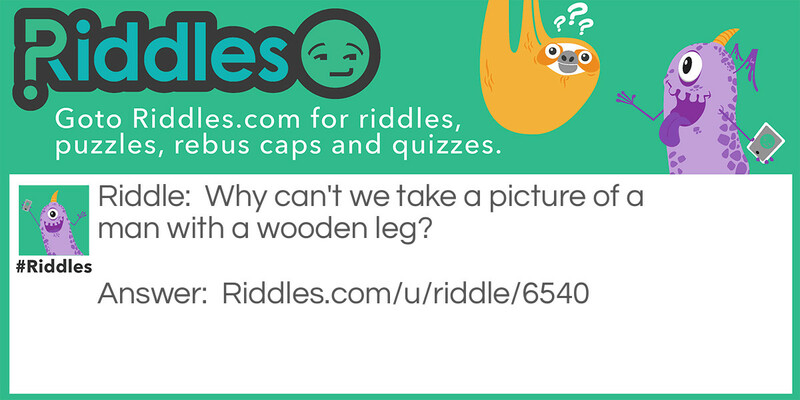 Wooden leg of a man Riddle Meme with riddle and answer page link.